New. Paper over boards. 400 p. In Stock. 100% Money Back Guarantee. Brand New, Perfect Condition, allow 4-14 business days for standard shipping. To Alaska, Hawaii, U.S. protectorate, P.O. box, and APO/FPO addresses allow 4-28 business days for Standard shipping. No expedited shipping. All orders placed with expedited shipping will be cancelled. Over 3, 000, 000 happy customers. Fine. Paper over boards. 400 p. In Stock. 100% Money Back Guarantee. Brand New, Perfect Condition, allow 4-14 business days for standard shipping. To Alaska, Hawaii, U.S. protectorate, P.O. box, and APO/FPO addresses allow 4-28 business days for Standard shipping. No expedited shipping. All orders placed with expedited shipping will be cancelled. Over 3, 000, 000 happy customers. New. 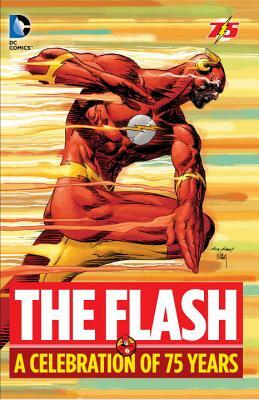 Collects a range of stories featuring the Scarlet Speedster, ranging his seven decades as a mainstay in the DC Comics universe. From the original Flash, Jay Garrick, to his successors Barry Allen and Wally West, the mantle of this beloved hero has made him burst beyond the printed page into a pop culture symbol. Num Pages: 400 pages, illustrations. BIC Classification: FXS; YFW. Category: (Y) Teenage / Young Adult. Dimension: 273 x 182 x 30. Weight in Grams: 1120. 2015. Hardcover.....We ship daily from our Bookshop.